David Borgen joined the firm in 1990, after serving as in house counsel for the Communications Workers of America (CWA) AFL-CIO since 1981. 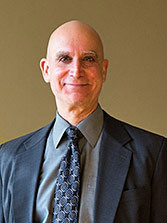 David was a Shareholder (partner) of the firm from 1998 through 2015. During that time, he focused primarily on class action enforcement of workers’ minimum wage and overtime rights guaranteed by the Fair Labor Standards Act (FLSA) and the California Labor Code, beginning the Harrison v. Enterprise Rent-A-Car, 1998 WL 422169 (M.D. Fla. 1998) (certified as a nationwide FLSA collective action). Since January 2016, David has been Of Counsel to the firm, continuing his public interest complex litigation practice. He served on the Editorial Boards for the Second and Third Editions of the BNA Bloomberg Fair Labor Standards Act (2010 and 2015) treatises and many annual supplements. He was the first Employee Co-Chair of the ABA’s Federal Labor Standards Legislation Committee. He was also a Senior Editor of the BNA Bloomberg treatise Wage and Hour Laws: A State by State Survey (2011), and its annual supplements. He is the Vice-President of the College of Labor and Employment Lawyers. He is an Employee (Plaintiff) Council member for the ABA Labor and Employment Law Section. American Bar Association (ABA) Labor and Employment Section: Council Member (2016-Present); Co-chair, Committee on Federal Labor Standards Legislation (2003–2007); Co-chair, Fair Labor Standards Act Sub-Committee (2000–2004); National Programs Subcommittee, Co-chair (2007–2008); CLE/Institutes and meetings Co-chair (2009-2010). Abarca v. Werner Enterprises, 2018 WL 1392 909 D. Ne., March 20, 2018 (appointed Class Counsel to certified class of truck drivers for wage and hour claims). Ayala v. U.S. Xpress, 2017 WL 3328087, C.D. Cal., July 27, 2017 (appointed Class Counsel to certified class of truck drivers for wage and hour claims). Ernst v. City of Chicago, 837 F.3d 788 (7th Cir. 2016) (ordering new trial for intentional discrimination claims and granting judgment on disparate impact claims based on faulty pre-hire test); Remedies trial counsel (August 2017), decision pending. Godfrey v. City of Chicago, 973 F. Supp. 2d 883 (N.D. Ill.) (class action settlement for African American women challenging Fire Department’s physical abilities test; final approval granted March 26, 2015). Vasich v. City of Chicago, 2013 WL 6730106 (N.D. Ill.) (class action settlement for female applicants denied Fire Firefighter jobs due to physical abilities test; final approval granted on December 20, 2013). Fair Labor Standards Act, Third Ed. 2015, Bloomberg BNA, Editor. 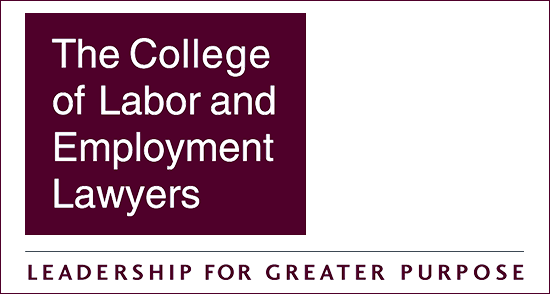 National Employment Lawyers Association (NELA), “ A Conversation With the Solicitor of Labor” (Moderator for discussion with USDOL SOL Patricia M. Smith), at Protecting Pay: Representing Workers With Wage & Hour Claims MCLE Seminar, Washington, DC (April 24, 2015).